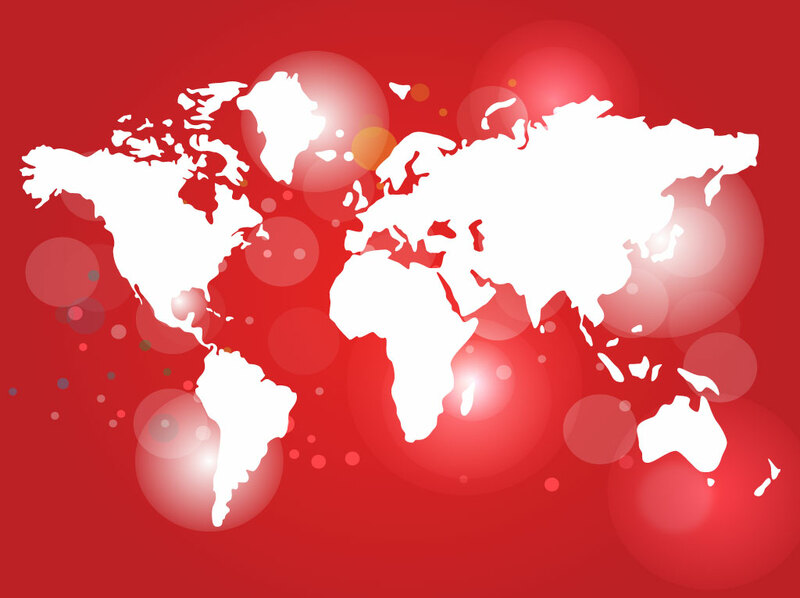 Vector world map set on a bright red background image with glowing light circles. Cool geography themed graphics to add character to simple or plain travel and location themes. Useful design footage for your hotel booking and adventure graphics. Illustration of the world with the 5 continents: Africa, South and North America, Europe, Asia and Oceania. Free download for your stock background and vector map image collection. Tags: America, Asia, Australia, Globe, Location, Russia, Travel, Usa, World.